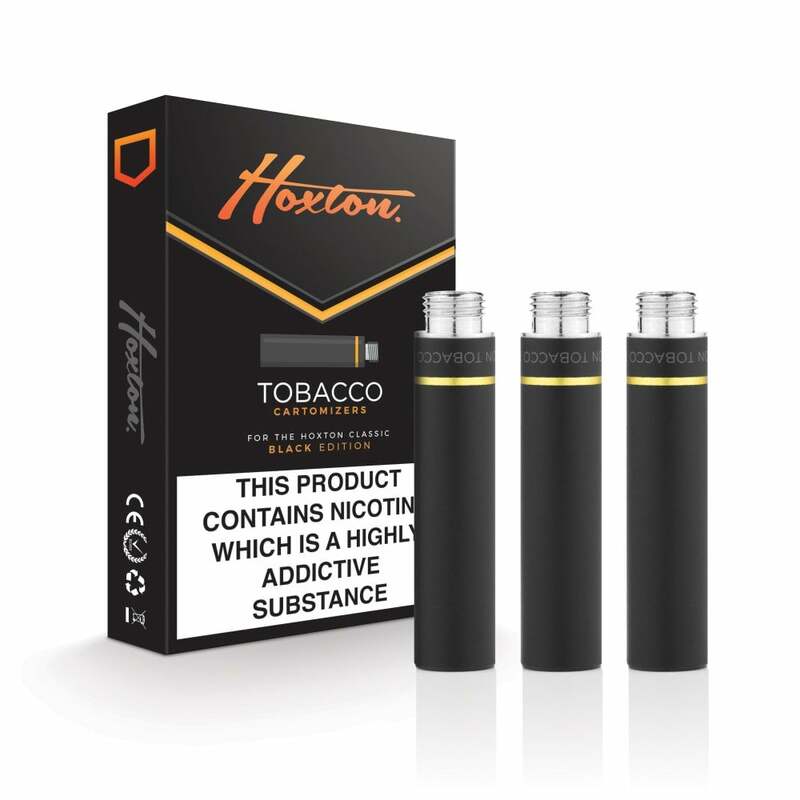 Hoxton Black Edition Tobacco Refills are for use with the Hoxton Classic, Vapestick Cig-a-like kit and Gamucci kits. Each cartomizer is pre-filled with 18mg e-liquid, and lasts for roughly 300 puffs - equivalent to a pack or more of cigarettes! I’m disappointed with these refills that I’ve just started using, since my previous brand ceased to continue. The refills that that you recommended to replace, Horton, most certainly don’t last very long, and when running out have a particularly bad taste, which concerns me in respect of possible health issues. Would welcome your advice for a better alternative. This product is of a good quality but the cartomizer doesn't seem to last as long previous products I have used. After using Vapestick, which were the most economic I've tried to date, these are a poor replacement. The taste is okay-ish, but they don't last very long at all and if you replace the battery on a half-used tip, it burns the tip out immediately (coupled with the disgusting taste and who knows what dodgy chemicals being inhaled). Shame Vapestick is no more - I feel that there is so little to choose from now of any quality and only use these as they are compatible with my stock of Vapestick batteries. Definitely a nice looking product, neat vape too. Worth an investment if you're looking for a cost-effective cig-a-like / pod-style device that performs well - then look no further. Stylish and functional, five stars. not impressed - do not seem to last long. I like them now the Vapestick refills are no longer avalible. But Vapestick lasted longer even as the batteries. Overall: a good replacement.